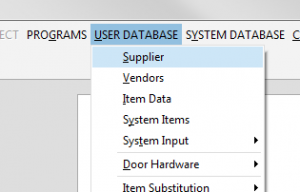 This documentation will show you quickly how to insert system-independent hardware data. Click „User database“ → „Supplier“ in the project centre. Click „New“ in the toolbar. 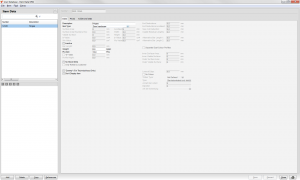 Enter the supplier description, if necessary the short name, and the CAD directory. 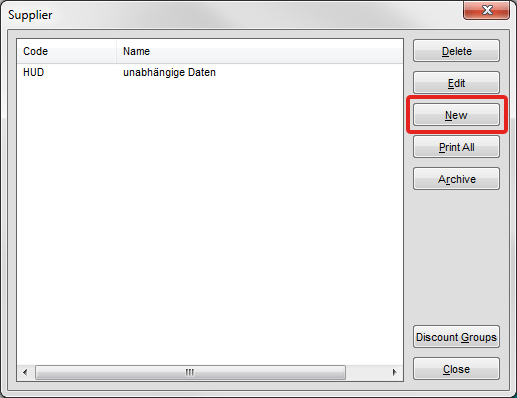 Click „OK“ in the toolbar to finish the entry. 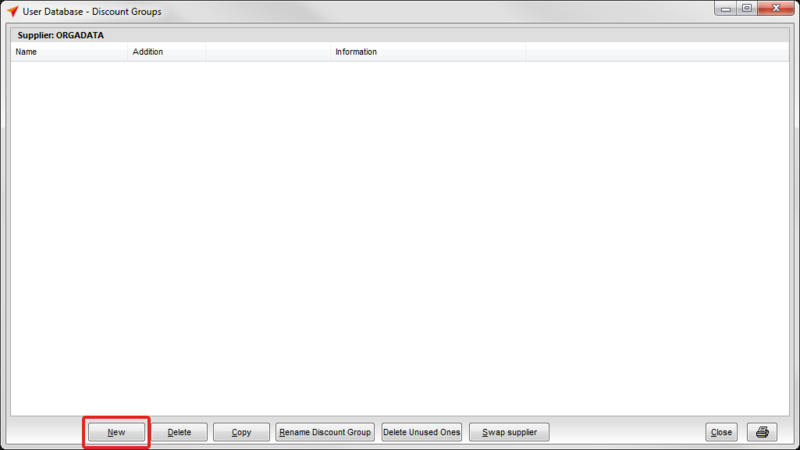 You will automatically get back to the supplier overview. 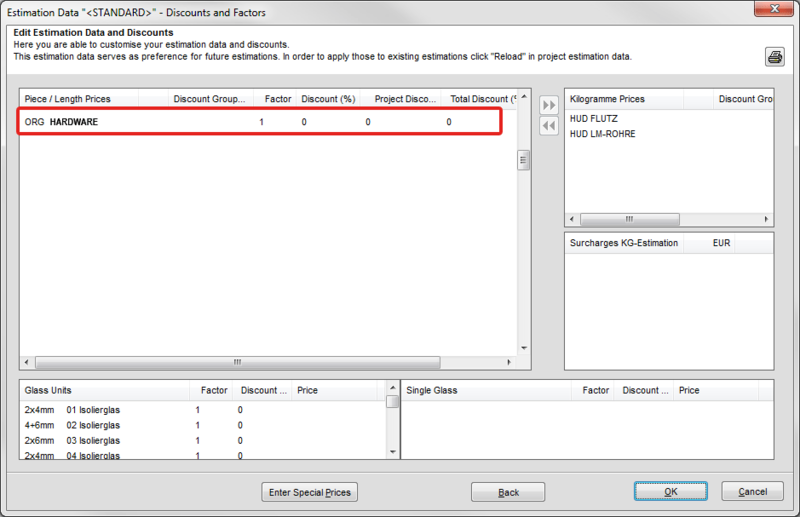 Select the just created supplier you wish to create discount groups for and click „Discount groups“ in the toolbar. 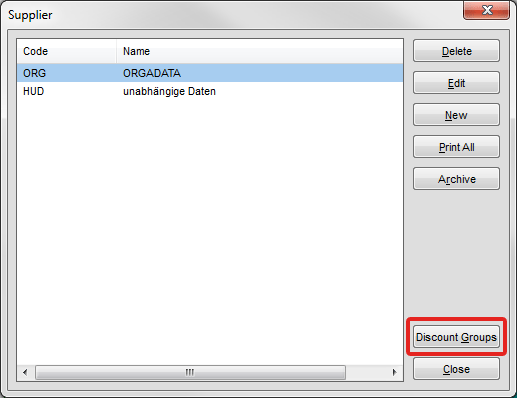 Click „New“ in the toolbar to create a new discount group. Enter a name for the price list. Determine the reference (e.g. piece or length prices) under the option „Discount group for“. Click „OK“ to get back to the overview. 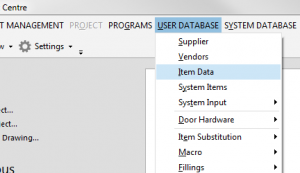 Select „User Database“ → „Item data“ in the project management. 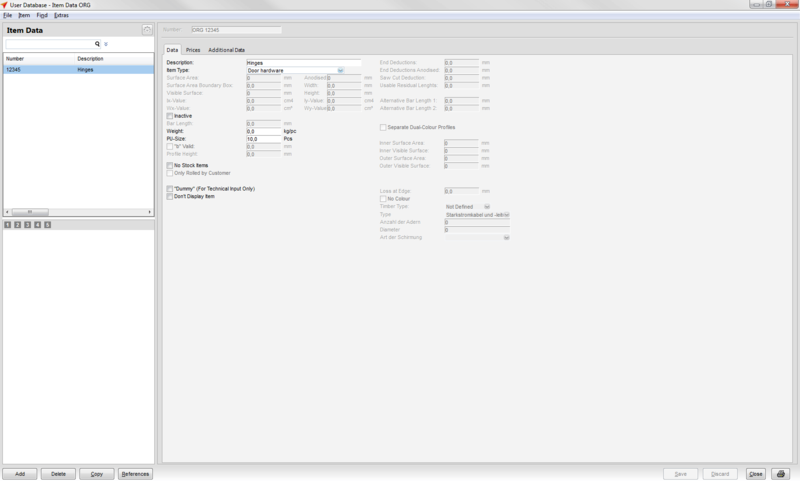 Select the supplier you just created. 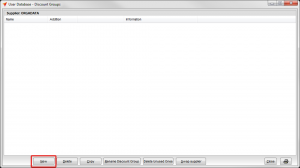 Click „Add“ in the toolbar at the bottom left to create a new item. Enter the item number under „Number“ and assign a description to the item. 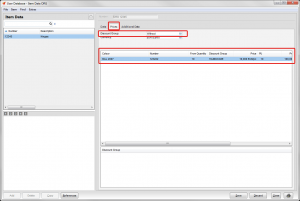 Define the part type and determine the sales unit. 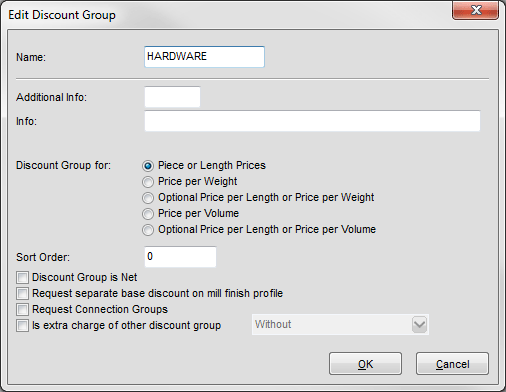 Here you select the discount group you just created. 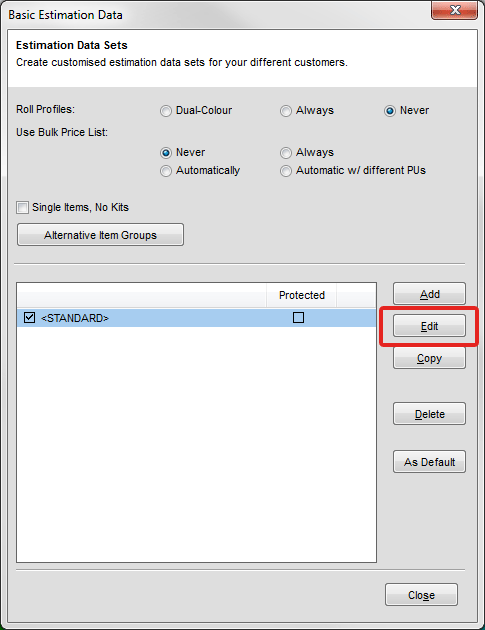 Push the insert key on your keyboard and determine the colour, number, and price of the item. 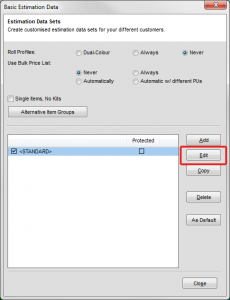 Click „Save“ in the toolbar in order to save your settings. 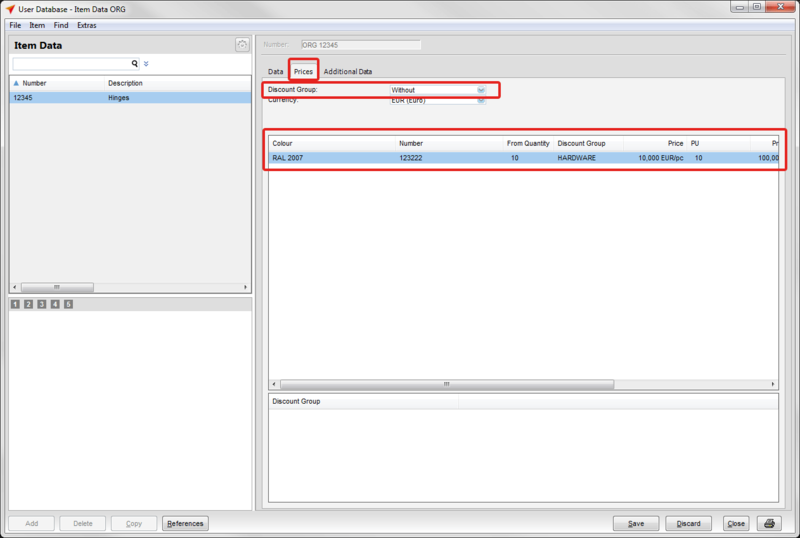 Return to the project management and select „Estimation data“ under „User database“. 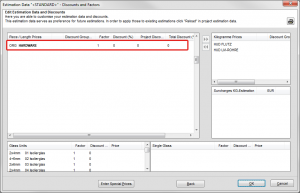 Mark the current estimation data set here and click „Edit“ in the toolbar. In the second menu of the estimation data you will find the discount group you created again and you are able to determine special conditions here.